The concept of a Lunch home is popular on the Mumbai food scene. Harish is, in our opinion, one of the best. They pride themselves on the freshness of their produce, particularly seafood. Other than their own cuisine, Manglorean, they serve food from the rest of the South, Punjabi and Chinese. No frills, comfortable. There are two family dining rooms on the 1st floor of the restaurant. Starters: We started with the crab butter garlic. They serve it de-shelled, on request, and we prefer not to have to wrestle with our food, unless absolutely necessary. This is an Oriental preparation in a butter garlic sauce with spring onion and fresh red chilies. On the face of it, it looks like a simple dish, but it brings out the delicate crab flavour perfectly. This is the dish that takes us back . 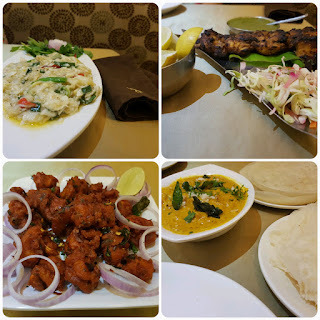 From the tandoor, we had the fish Noorani Tikka. This dish has boneless pieces of Rawas or Indian salmon marinated in a brown spice mix, unlike the typical fiery red tandoori masala we are accustomed to. A good sized portion, you get six perfectly cooked pieces, served with a coriander and mint chutney, shallots, lemon wedges and pickle on the side. A dollop of the chutney and a squeeze of lime…pure bliss. Next came the Prawn Malabari Fry, a delicacy from Gods own country, Kerala. Batter fried, akin to a Prawn Koliwada. The spice mix with the curry leaf garnish is a perfect snack if you’re having a drink. 14-15 medium sized prawns, deep fried to a golden brown. So perfectly done, no condiment is required. 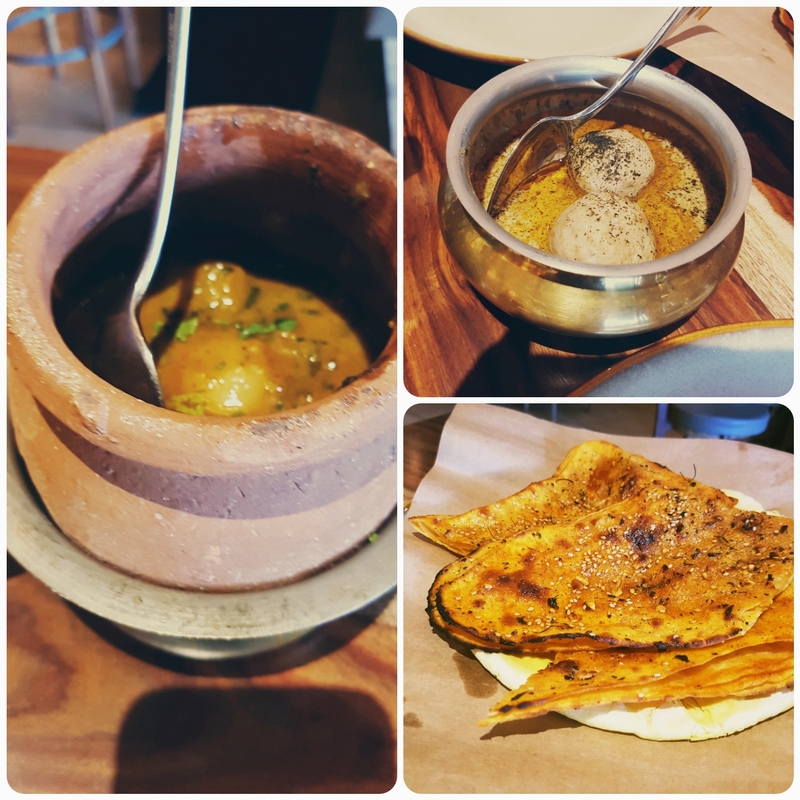 Mains: We had the Prawn Mallipuram with Neer dosa and Appam. Delicately flavoured yellow gravy, with a coconut milk base, this dish busts the myth that all keralite food packs a punch. We paired this with Neer Dosa and Appam, both rice pancakes, one from Mangalore and the other from Kerala. Both worked a charm. You could have this with rice as well. You could also try the Gassi, which is a Manglorean coconut based red gravy with seafood of your choice. They also serve it with chicken and mutton. Equally interesting is the seafood Pulimunchi . Drinks: They have a vast choice of both alcoholic and non-alcoholic beverages. The cocktail selection is limited. If alcohol is not your thing, ask for a glass of chilled sol kadi-a concoction of coconut /coconut milk and kokum with a dash of chilly, garnished with green coriander. This is just so refreshing, particularly in summer! Service wise, the servers are attentive and friendly. Do ask them for recommendations. Don’t judge a book by its cover. The humble exterior is deceptive. Take your taste buds up a flight of stairs, they’ll thank you later. What to wear Anything Casual. Specialty: Food from places on the Grand Trunk route all the way from Afghanistan, through Pakistan, North India, Ladakh, Punjab, Uttar Pradesh, Bihar, West Bengal, finally crossing over and halting at Bangladesh. Price Range: 2600/- for two with one non-alcoholic beverage each. Exclusive of applicable taxes and charges. The restaurant endeavors to take you on a journey from Kabul to Kolkata on the Grand Trunk route, out of the history books, and onto our plates. One of the things that connected these places was the taftan. The oldest name for this bread was taftoon, hence the name of the restaurant. Taftoon turned out to be a lesson in ancient Indian culinary history and all the various the ways in which ingredients and cooking techniques have traversed geographical boundaries. 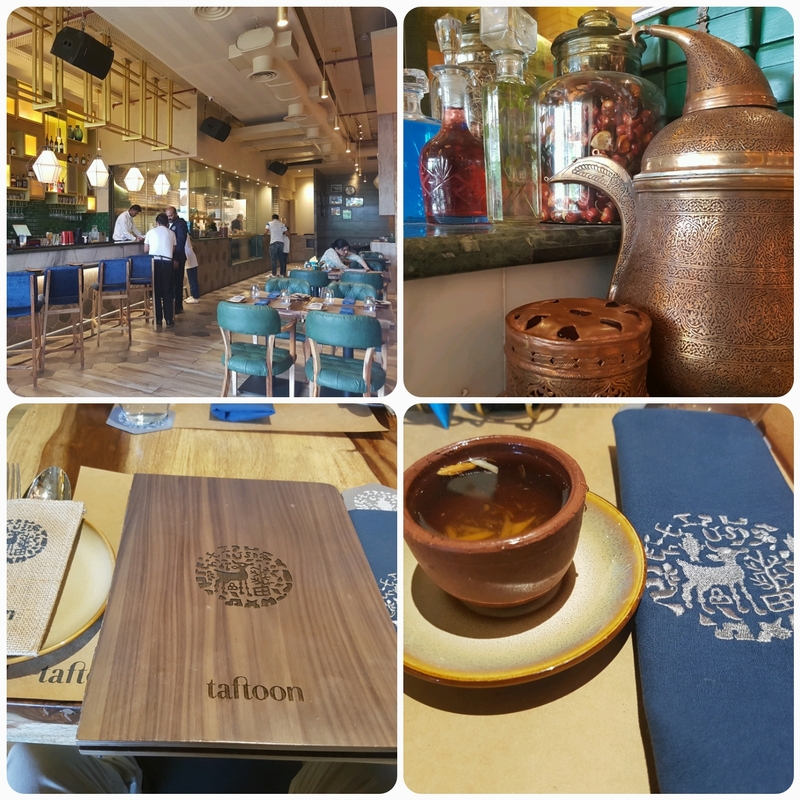 Taftoon is a spacious place, all pale yellow lighting, wooden flooring and hexagonal lamps. An open kitchen gives a view into the making of the dishes, especially the breads. There are no overt references to the cultural histories that cumulatively make up the Grand Trunk Road. Disparate design elements are strewn across Taftoon—and noticeable only if you are really paying attention, peeking at you from the alcoves and walls. 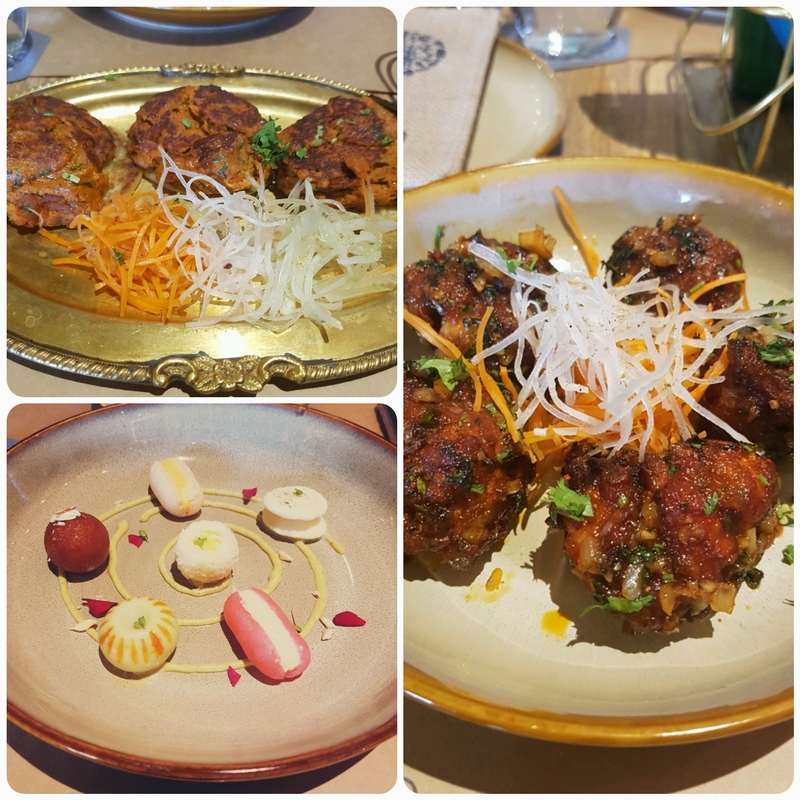 They use a Robata grill and traditional degchis and Lucknowi lagans to send out delicate kebabs and grilled dishes. Starters: Chicken Pakodey is a Ladakhi preparation of boneless chicken wings tossed in ginger, turmeric and honey, as the menu suggests. We guess there was a lot more by way of a marinade, but obviously, they are holding their cards close to their chest. The chicken was succulent, cooked just right and not very greasy. There were complex flavors in an apparently simple dish. A show stealer and an apt homage to a route used to transport spice. The Galauti Kebab was originally made for a toothless Nawab in Lucknow. There are three in a serve, so order accordingly. Sharing this could get a bit inconvenient as they are served on bite sized breads. It was tasty, but a little too much chilly overpowered the rest of the spices. Mains: Gushtaba are Kashmiri meatballs served in a yoghurt based Yakhni sauce tempered with mustard oil. The sauce is flavoursome, sadly though, the meatballs were rubbery and tasteless. Matke Me Rum Shaljam is served in an earthen pot. Well cooked mutton, the turnip adds flavour and complements the meat. The rum flambé is done tableside. This is a delightful, Moorish homestyle dish. They have a good variety when it comes to bread. The Lal naan is flavoured with rogan or chili oil and sesame seeds. This one is not to be missed. 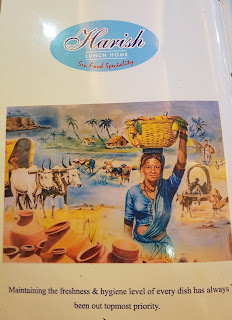 The restaurant gets their name from the Taftoon. Oven baked, flavored with saffron and black cardamom, this pairs well with both the mains. Dessert: we had the Chenna Platter which is an assortment of chenna-based sweets- sandesh (which was a mini-golf ball which had to be chased around the plate in an attempt to cut it), malai chop, kheer kodombo, gulab jamun, chomchom and malai sandwich. Other than the sandesh, the others were just right. Drinks: We didn’t partake of the drinks, but they have a vast choice of both alcoholic and non-alcoholic beverages. Their signature mock tails and cocktails looked interesting. Service wise, the servers are attentive but could do with a little more food knowledge. There is enough on the menu for a second trip. We had the opportunity to speak to Chef Milan. His passion for food is admirable. He has invested a lot of time and effort in studying cooking methods, and tries to keep processes as authentic as possible.